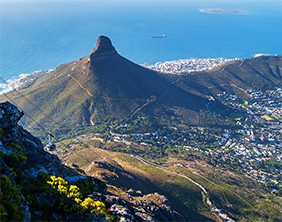 Enrichment Series – Travel feeds the soul, nurtures the spirit and invigorates the mind. As travelers ourselves, we at Big Five Tours & Expeditions understand the powerful urge to explore and experience worlds outside our own. From the earliest explorers to the first lunar landing, we humans seem called by our very nature to discover new horizons. The Enrichment Series reaches beyond the premier, luxury journeys our guests have come to expect from us. We have carefully considered every component, and constructed each itinerary to give you the opportunity to make your own personal discoveries. We have sought to provide you with well-paced day-to-day activities, classic accommodations, distinctive cuisine, and that something extra that crosses the bridge from good to extraordinary. For example, during out Cleopatra’s Palaces program, you savor an experience the pharaohs could not dreamed of – watching the sun rise over ancient Luxor as your hot air balloon floats peacefully above the majestic city. Our Land of Kings program in India includes dining at the home of our Country Manager and his family for a taste of traditional Indian hospitality and a sampling of regional foods. We believe passionately in the power of authentic human interconnections to enrich lives and to bring new understandings. Nature lovers and hikers love this adventure into some of Chile's most spectacular wilderness areas including the Northern Ice Field and Northern Patagonia. This journey explores some of the most fascinating places and cultures of Southeast Asia. 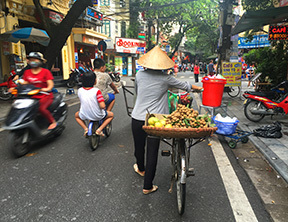 From Hanoi to Phnom Penh, discover the cuisine, people, and historic places. Cruise the placid Halong Bay with its towering limestone karst formations shooting out of the sea. Experience the nightlife frenetic nightlife of Saigon the way locals do, from the back of a vintage Vespa scooter. Explore Phnom Penh, Cambodia’s capital, by foot and tuk tuk as you sample the street foods, explore the colonial French Quarter with Belle Epoque and Art Deco buildings. Take in one of Southeast Asia’s most enduring cultural symbols, the fabled temple complex at Angkor Wat, the crowning jewel of Khmer architecture. This journey in Brazil serves as a perfect introduction to this massive nation. 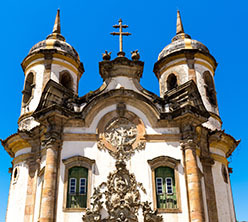 It encompasses two of Brazil's stunning cities and colonial jewels such as Ouro Preto, a UNESCO declared the city center a World Heritage Site, Brazil's first, Discover Reserva do Ibitipoca, inside the Atlantic Forest, with its more than 200 km/124 miles of hiking trails that lead to stunning landscapes and pristine waterfalls. Discover a wealth of some of the most impressive ceremonial sites of the ancient Mayan world from Yaxha, to El Mirador, to fabled Tikal,. Learn about the country's artistic traditions from graffiti to murals to canvas. 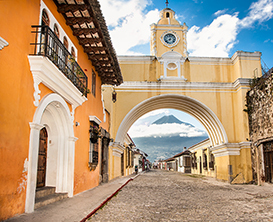 Explore the classic colonial city of Antigua. Travel by vehicle, boar and helicopter is this exciting adventure. Take the road less traveled - hike the less known route to Machu Picchu along the Salkantay Trail, spending nights glamping in luxury dome tents. Discover the legendary Machu Picchu. Go on a walking tour of colonial Cusco and savor a culinary adventure in Lima. 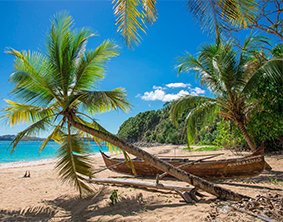 This journey features Australia's Whitsundays along with some of the prettiest parts of New Zealand including the top golf courses on both islands. This is the Australia and New Zealand that reaches past the rock, the reef and commercialism. This journey takes you into the world of Angkor Wat and beyond to explore more Angkor sites and the rural villages nearby as well as taking you on a walk in the company of elephants. 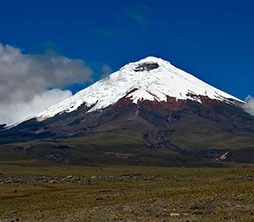 This journey combines three distinctive train journeys with classic Peruvian sights. See the stunning Incan sites from Machu Picchu to Puno. Travel to the Andean community of Awamaki, a woman's textile cooperative and interact with these artisan weavers. Discover the Sumbay Caves, with paintings dating back 6,000 to 8,000 years. Go paddle boarding on Lake Huaypo, and hike to Inti Punku, the “Sun Gate” at Machu Picchu. Community-based conservancies were born in response to the need to resist poaching and to preserve indigenous cultures. Explore these locally run conservancies to experience the forefront of conservation for both wildlife and traditional cultures in East Africa, and at the same time savor a once-in-a-lifetime safari adventure. This Tasmania-focused adventure offers a variety of settings from a four-day trek through the unspoiled natural beauty of Maria Island, off the coast of Tasmania, to a thrilling climb up Sydney’s iconic Harbour Bridge for unparalleled views of the surroundings. 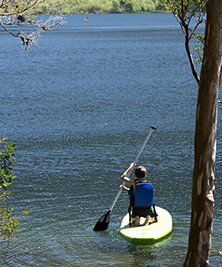 This journey also explores the beautiful coast along the Great Ocean Road and stunning Freycinet Peninsula. It is a hallmark exploration of Tasmania.